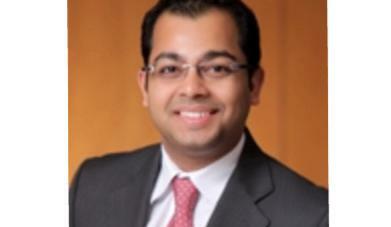 Kolay had started his career at erstwhile Amarchand Mangaldas in 2006, but moved to Hong Kong with Davis Polk & Wardwell in 2010. In 2015, he moved to Menlo Park, California with Davis Polk, leaving in April 2018. He has now joined Kirkland in its New York office. Kolay is admitted to practice in India, New York and California. He specialises in domestic and cross-border M&A, including for private equity funds. Regarding India, he has advised DLF on its sale of Aman Resorts, acted for TPG Growth on investments in India, including Lenskart, Flexituff and the Landmark group, as well as other PE groups and investors such as Tencent, Warburg Pincus and KKR on investments in India. To date, out of the national law schools, it has been mostly NLSIU Bangalore that has dominated in foreign law firm partnerships by expats from India: most recently, Sushil Jacob made it to Linklaters’ partnership in March, Sinjini Saha (2004 batch) at Milbank and Cadwalader, Nallini Puri (2004 batch) at Cleary Gottlieb, and Ramya S Tiller (2002 batch) at Debevoise & Plimpton. Neither first nor one of the first to join partnership of an international firm from NUJS. If you do your research Kian you will find that 7th year associates in Kirkland are called Partners. They earn the same salary as senior associates in other firms. That’s why Kirkland has more salaried partners (aka senior associates) than equity partners. This so-called partnership is even worse than what our Indian firms offer. Where does the quote start and end? Please list out which other Noojies are partners at international law firms? I am amazed by this troll! How is Kian wrong? Is Kirkland a noted international law firm? YES. Is Abhishek the first one from NUJS to have been made a partner at an international law firm? YES. If you know anyone else, pray tell who? Is partnership at Kirkland different from other international law firms; and does that diminish the achievement of AK being made a partner? All law firms have their own hiring policies. And there is no statistics whatsoever which states that a Kirkland partner is better or worse than other BigLaw partners. It mostly depends on the partner concerned. But what is true, is that Kirkland has consistently been ranked as one of the top international US firm. And lastly, as for the type of 'partner' - salaried or equity - how does it matter when there has been NOBODY previously from NUJS, since its first batch graduated in 2005, who has made a partner - salaried or equity at an international firm (in New York or otherwise)? Don't we eagerly read about partner announcements of Indian law firms, regardless of salaried or equity? Therefore, have some grace and congratulate him instead of this mindless criticism. @Sour Grapes: it's just that many readers here enjoy reading bad things about people rather than good things. Classic crab mentality. 2007 grad made “partner” at Kirkland in 2016. @ Correction: Aparajita, who you refer to above, is from NLS, NOT NUJS!! Therefore, your earlier bold assertion that AK is neither the first, nor the one amongst the first from NUJS is obviously incorrect and you should atleast have the decency to admit that! And stop trolling, pls!! Chill. If you know the law firm scene you will know there's a big difference between Kirkland's partnership model and linklaters or AO. Kolay has done ok for someone already working outside India with 12 years experience, nothing super. His peer group are all half his experience. Obviously he wanted the 'partner' tag badly though it is taken with a big pinch of salt stateside. Dude, the issue is the comparison of partnership in Kirkland with partnership in firms such as Linklaters without there being any reference to persons who have already made partners in Kirkland albeit from a different law college. The last paragraph tries to project it as a larger accomplishment by comparing AK's partnership at Kirkland with people who have made it to partnership in other foreign law firms. And Kian has specifically mentioned batch of each of the examples give there and all of them are from fairly senior batches. In my view, that projects AK's accomplishment as larger than it is. Given that Kian purposely did not mention Aprajita or Prem (both of whom are 2007 batch and whose promotions to partnership were reported by LI), it does not provide the real picture.having said that it is a great accomplishment for any India law student to become a partner in an international law firm. Not taking away the achievement of becoming a partner in an international law firm and as I know him personally, he is a great guy but partnership in Kirkland is not the same as partnership in Linklaters etc , which is a much larger achievement. If I remember right, last year some 2007 batch people from India were also made partner in Kirkland, not sure from NUJS or NLS. Essentially Kirkland model is more like Indian law firms whereas Cleary Gottlieb, Linklater make partners only if the person deserves it and not as a rule. Please mention the he did his LLM from the US. That is the reason he got a licence to practice and why he was hired. Same holds true for all the NLSIU-ites. NLU students are super smart, but they learn jackshit in college because of the bad faculty everywhere. Had all NLU students been so smart, then all of them could have gained entry in all those ivy league colleges too. These days in particular, half of the students of any NLU are pretty sub-par. The comment made above by ‘uff’ is in such poor taste. Instead of congratulating a fellow colleague for his achievement (whatever small or big), the person is trivialising the development. Why so much jealousy within the faternity that we cant even simply congratulate a person for his accomplishments and wish him all the best instead of critically measuring the sucess by comparing it withsomeone else’s achievements like in Linklaters etc? Grow up guys and atop being in school trying to compare your class test score with your fellow classmates score. Each person’s growth in his career is a function of several factors some beyond an individual’s control. I heartily wish Kolay for this accomolishment and enspiring others in the profession to also think and target big!! Proud of you Kolay. Well done. Karthik Kumar from NLS is a partner at Jones Day. Please include his name as well. Congrats!!! From Belighata - Kolay market to NY - Big Apple - no mean achievement, and may not be that great a step, but is nevertheless a reasonable step, he will get above for sure. Disclaimer - I knew Kolay and my view was he was no great shakes (not even in his batch), so this is even more an achievement, dogged determination pays. Many congrats Abhishek. This is great, it was a pleasure working with you a couple of years back. Hope you attain greater heights. See this link where Bloomberg has published capital market league table for H1 2018. You should publish the H1 2018 rankings. so much envy on display. a need to belittle the achievements of others. not a good look. Why so much vitriol, negativity and pettiness!? No one has claimed that Abhishek is the first or youngest lawyer to be made a partner at an international law firm. But what has been said is that he is the first from NUJS to be made a partner at an international law firm, which is an important milestone for any law school - pretty much the same way as the first Rhodes Scholar or Sr Counsel or Law Officer or ASG or foreign university professor or judge from an particular law school - as it inspires others from that law school to follow such footsteps. Therefore, as he is the first ever from NUJS to be made a partner - after 13 yrs since the first batch graduated from NUJS; then why can't we celebrate that achievement and hope that there would be more to follow from NUJS in the following years? Haven't we celebrated such achievements for NLS alumni earlier? All the best AK! Keep the flag flying! Many many congratulations! You truly deserved this.